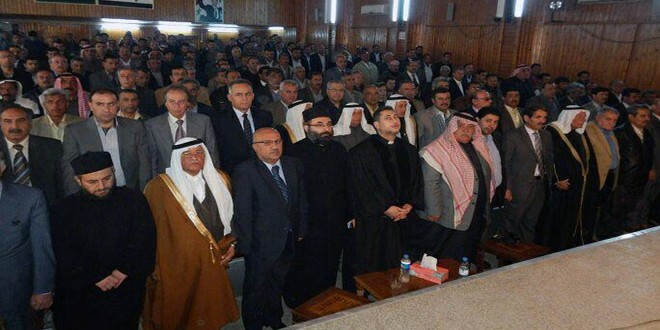 Damascus, SANA – The Assembly of Syrian Tribes and Clans in Hasaka province stressed its firm rejection of the declaration of the so-called “federal region in northern Syria,” adding that such an attempt to undermine Syria’s sovereignty is doomed to failure. 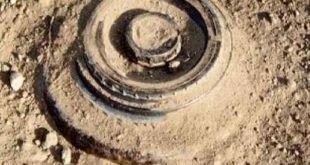 Concluding its conference held in Qamashli city with the participation of representatives from all components in Hasaka province, the Assembly issued a statement in which it stated that the declaration of “al-Rmailan meeting” represents personal orientations and constitutes a precedent that infringes upon the constitution of the Syrian Arab Republic and threatens its history and geography. The Assembly pointed out that the timing of this declaration came as a reaction to the exclusion of Kurds from dialogue in Geneva, stressing that the Kurds constitute an important component of the Syrian society that cannot be excluded from the process of shaping the country’s future. 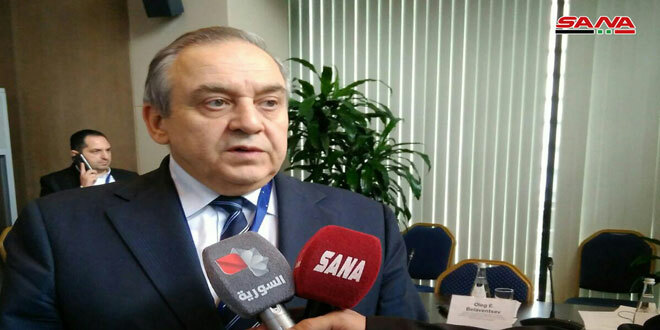 The statement noted that no party has the right to tamper with the form of state and its political system in a unilateral way and in an uncalculated, reaction manner, since such behavior constitutes a flagrant threat to the unity of the Syrian people and geography. The Assembly said that the self-administration experience, even if it hides behind claims of democracy, is a reflection of the will of a singular component and constitutes an attempt to force others to comply with this will in order to impose a fait accompli. The statement affirmed that declaration of the so-called “federal region in northern Syria” doesn’t express the will of millions of Syrians who stand by the Syrian Arab Army in its fight against terrorism to restore security and stability to the country. 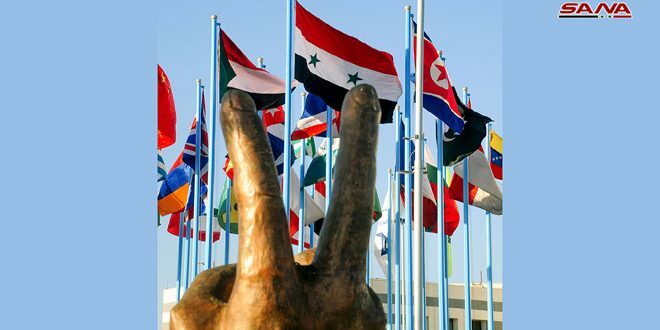 The Assembly stressed that Syria’s future, form of state, and system of government cannot be subject to whims and short-sighted calculations, rather they are decided by the Syrian people, defined according to constitution, and protected by the will of the people and international laws. 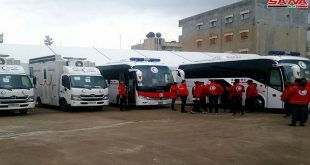 The participants reiterated their rejection of any plot which undermines Syria’s unity, stressing that the residents of Hasaka province are united and will not permit any foreign schemes to pass. 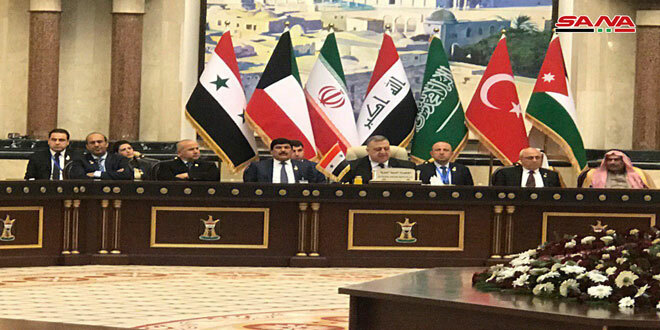 They also called for enhancing national unity, adhering to Syria’s territorial integrity, rejecting federation, and intensifying efforts to combat terrorism and foil the conspiracy targeting Syria.